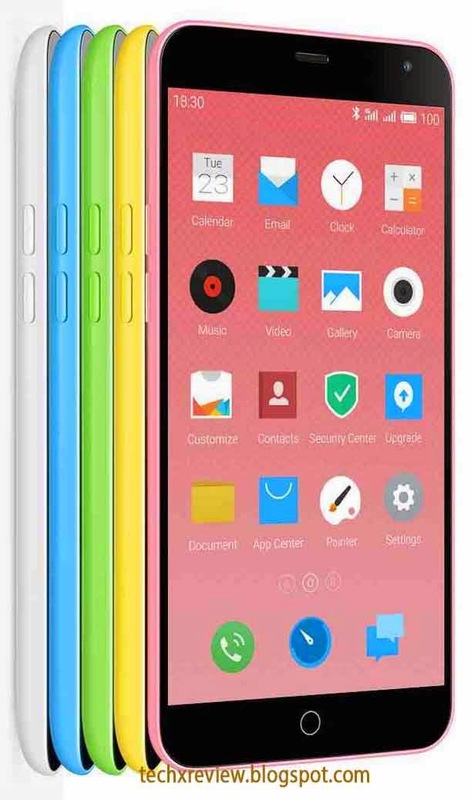 Meizu has entered in Indian Smartphone market with its first device meizu m1 note. 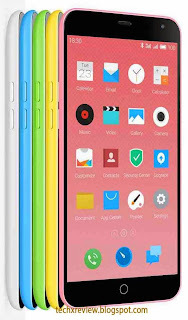 The Chinese brand Meizu is trying to compete with the Chinese brand Xiaomi. Meizu is trying to make its entry a grand success by giving awesome features to its model M1 Note. The M1 Note is having a 5.5 inch 1080P FHD Display. The display also comes with AUO/Sharp, Advanced Panel Self Refresh (PSR), Lower power consumption, Pixel density of 403PPI and 75% less reflection by full GFF lamination. At only 145g weight and 8.9mm thickness, the Meizu M1 Note feels slim and light. Meizu M1 Note is a very powerful device with the new Mediatek MT6752 64-bit octa-core processor. Based on the advanced Cortex-A53 architecture with dual-core Mali-T760 MP2 GPU, the processor MT6752 is capable of running all of its eight cores in tandem for smooth power delivery and huge gaming performance. The Gionee S7 uses the same Mediatek MT6752 processor and Mali T760 graphics processor. In Meizu m1 note, the processor is coupled with a 2GB RAM which makes gaming and surfing smooth. The device also offers 16GB and 32GB storage options. But it does not have an external SD card slot. The phone runs on android 4.4 kitkat with custom Flyme 4.0 UI. With amazing performance and customization options, Flyme 4 is the one and only right choice for the MEIZU m1 note. MEIZU M1 Note comes with a 13 megapixel rear camera with Samsung sensor with zero shutter lag. And a dual tone LED flash on the rear creates the perfect light balance for night shots . Capturing action shots is effortless with the zero lag 30fps burst mode. It also offers 300° panoramic shooting mode. It also comes with 5 megapixel front camera for taking high quality selfies. Face AE technology, low-light capabilities off/2.0 aperture and pure cell noise reduction technology makes it a selfie pro. M1 Note comes with dual SIM support. Miezu designed a single SIM-tray with dual-SIM support. This is the first time Meizu users been offered the flexibility of dual-SIM standby. It also comes with the 4G LTE options. It supports up to 150Mbps downlink speed and up to 50Mbps uplink speed in 4G connectivity. MEIZU M1 Note is fitted with a 3140mAh Sony/ATL battery and an intelligent power management processor fully controlled by Flyme 4.This powerful battery gives standby times of 12 hours on 4G web surfing, 15 hours on video playing, 40 hours on 2G calling and 60 hours on music playing. Comparing to other smart phones the battery is more powerful and provides better standby time. Meizu will be available via Amazon starting 20th May.